Hello ... Hello ... my old friends ... It's great to see you once again! 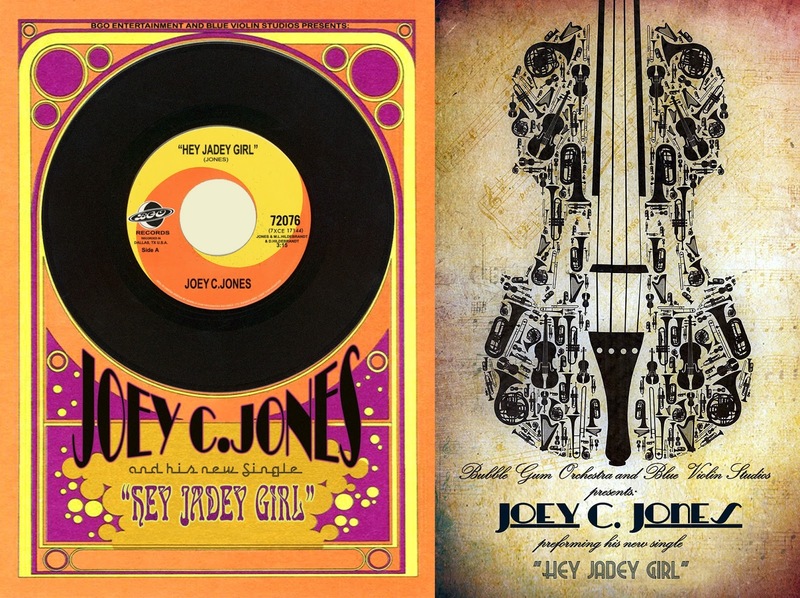 Yours Truly KJS and ELO Beatles Forever [ELOBF] are pleased to report that the latest exciting project that has come out of the Blue Violin Studios of Bubble Gum Orchestra maestro Michael Laine Hildebrandt is the new single by Joey C. Jones entitled "Hey Jadey Girl". Joey C. Jones is lead singer of legendary eighties rockers Sweet Savage, the Ohio foursome who became a live legends in the US - and LA's 'Sunset Strip' in particular - between 1984 and 1989 before splitting. Sweet Savage topped the European Import chart for sixteen  weeks back in 1986 with their self-titled five  track EP and turned down a deal with Enigma Records which was then taken up by a certain successful US rock band by the name of Poison. More latterly, Joey has been performing with: The Gloryhounds to rave live reviews. 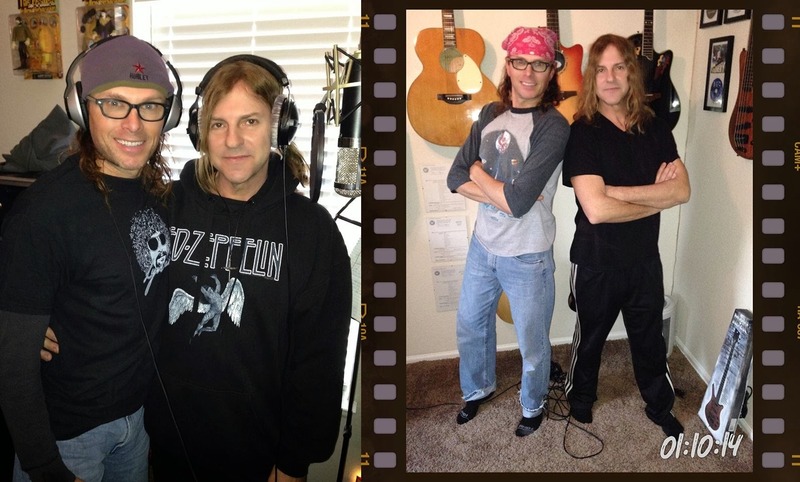 In the Blue Violin Studio: Michael Laine Hildebrandt with Joey C. Jones ~ Note the ELO attire! ELO Beatles Forever [ELOBF] recommends "Hey Jadey Girl" by Joey C. Jones to those enlightened folks who enjoy the music of Bubble Gum Orchestra, ELO, Jeff Lynne, Roy Wood, The Move, The Idle Race, 'Brum Beat', The Beatles and related artistes. I have the pleasure of drumming for Joey in his live band and have known him since 1984.Still has an awesome voice and is a class act as well ! I have the privalege of being Joey's live drummer,I've known him since 1984,still has an awesome voice and is a class act as well.Well done my friend !